id8 has a long partnership with the City of Atlanta Mayor’s Office of Cultural Affairs, dating back to 2011 when id8 first began creating artwork to support the Atlanta Jazz Festival. The theme for the 2015 festival was Journey’s in Jazz. id8 created striking graphics in black and white with accent details of AJF’s signature color, red. 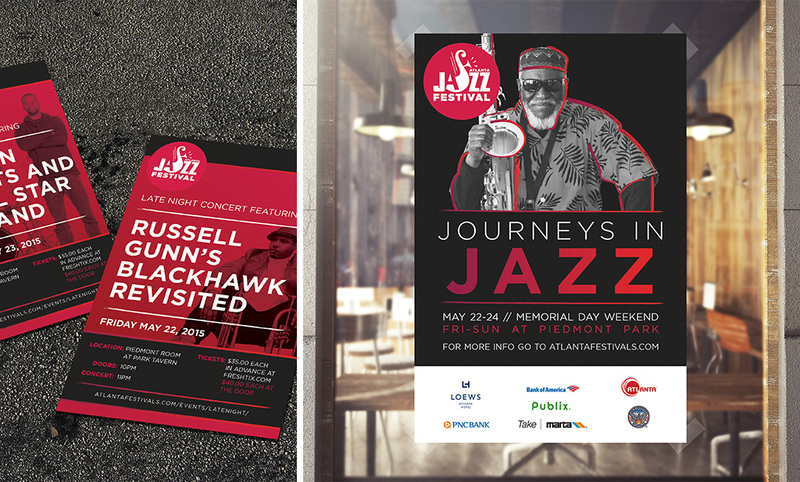 Materials were created for all types of print and digital platforms, spanning from print ads in ATLANTA Magazine and the Atlanta Journal-Constitution, MARTA bus signage, monitor graphics at Hartsfield-Jackson International Airport, to festival t-shirts, press conference support, website graphics and JAZZ Crawl brochures. 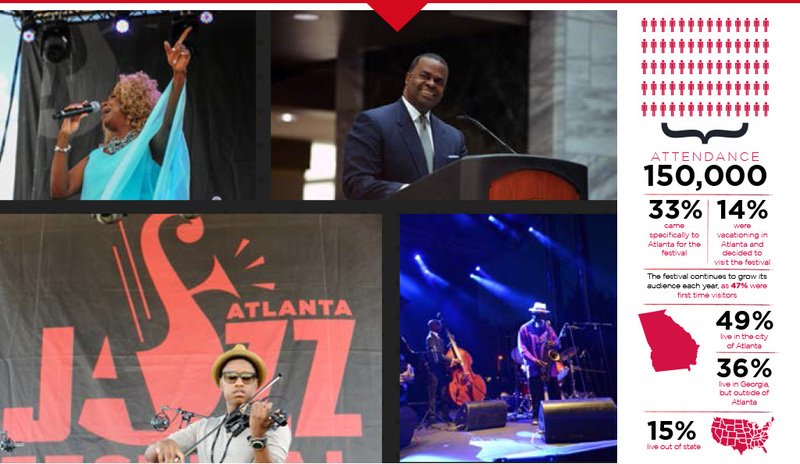 The 38th Annual Atlanta Jazz Festival was a huge success with over 150,000 people attending, resulting in a total economic impact of $16.6M. Media impressions reached an audience of over 140K. Hartsfield-Jackson Airport Monitors and Baggage Claim Displays reached 1.9M viewers. Social media followers rose to 55K for Facebook, Twitter and Instagram.